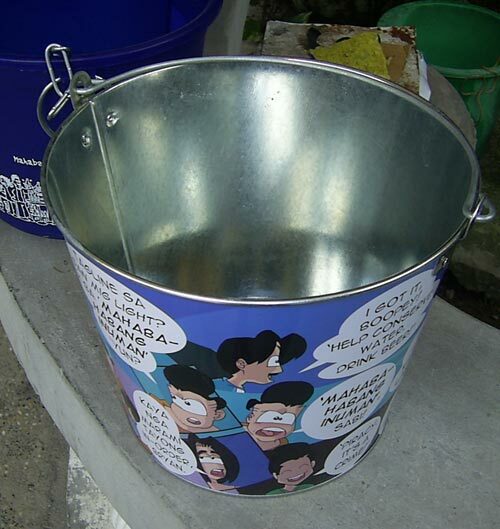 Beerkada Comics » I got the complimentary SML beerkada buckets! 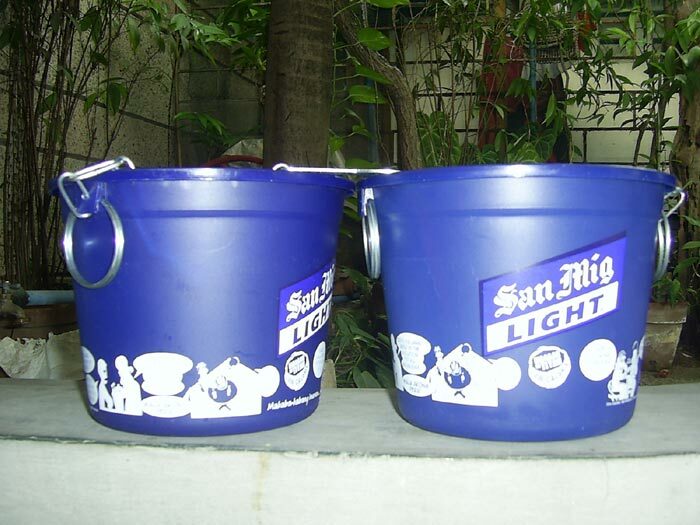 I got the complimentary SML beerkada buckets! And man, do they look sweet! 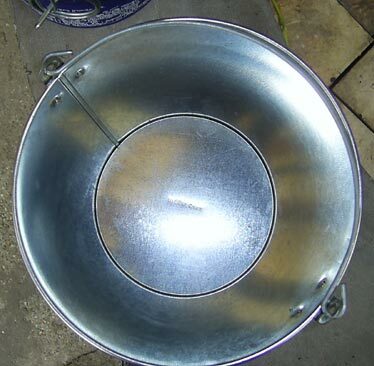 There’s a plastic blue-and-white bucket for outlet use, and a full metal bucket (Ooh. Shades of Stanley Kubrick) with colored art for personal use. Each bucket comes with its own bottle cap opener. Guys, try to get your hands on these buckets before they sell out. 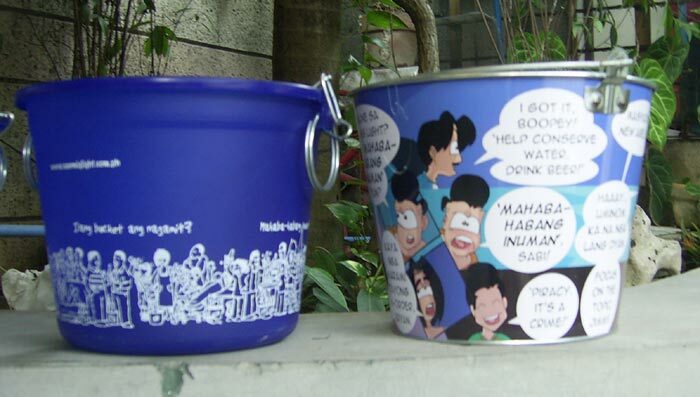 The last two images are the full comics I made for the initial two buckets design, one blue-and-white, and one colored. PS Thanks to Sandy and Mitzi of McCann-Erickson for coming through with the buckets. 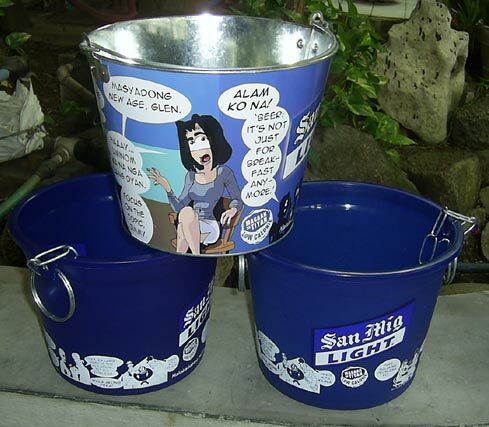 And thanks to the guys of SanMigLight for making the bucket thing possible. I really want one of these. If only I could take it back with me to the US. Meron sa Mini Stop? Must get one. nakakita ako sa mini stop nyan. gusto ko bilhin kaso di ko maisip kung ano gagawin sa beer kasi full yung workload namin sa class. ;___; arhhhh.